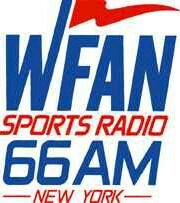 After months of speculation, WFAN in New York City has made official the additions to its sports talk lineup. Gregg Giannotti is the new morning co-host, alongside Boomer Esiason. Chris Carlin, Bart Scott and Maggie Gray will host afternoons. The announcements were made this morning on Esiason’s show.